The 2018 Voodoo Insane Endloaded BBCOR is a two piece hybrid bat featuring a composite handle attached to an alloy barrel. This combines the alloy barrel that a lot of players prefer for its sound and feel on contact to the composite handle that helps to deaden vibration in the hands. Demarini gave this year’s model a slightly different feel by extending the barrel and stiffening the handle. The barrel features a modern combination of Demarini’s classic maroon and bronze-orange overlapping a black base. It also includes Demarini’s “shredder” graphic. 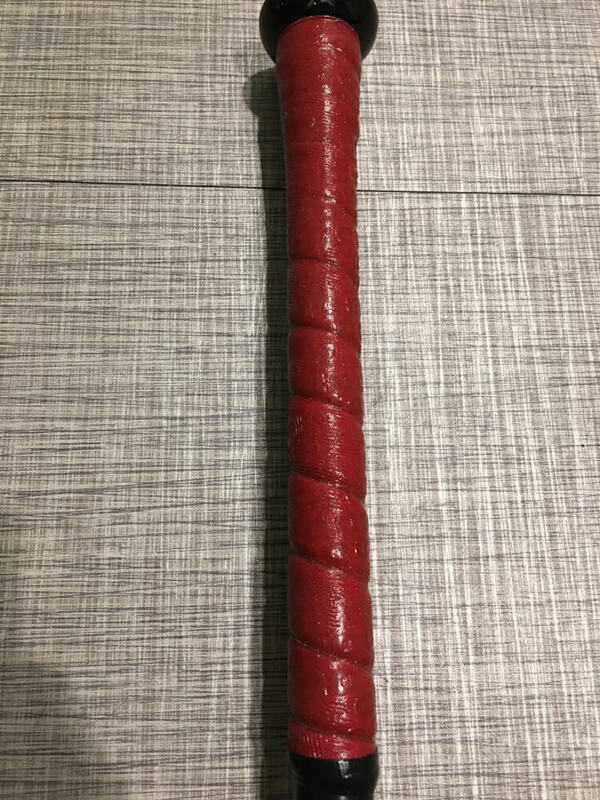 The handle is black and is covered in a maroon grip. The entire bat is covered in a glossy finish that makes the bat shine. If you don’t like how the stock model looks, you can create your own on Demarini’s custom bat builder for $430. 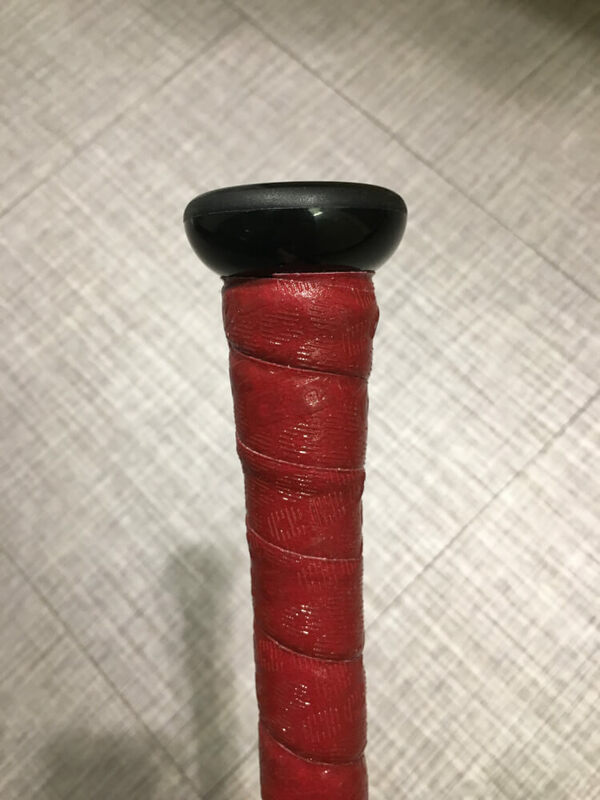 The knob is a cool invention by Demarini called the RCK knob. It’s shaped differently in order to fit better with your bottom hand. I love it, as it makes the bat really comfortable to swing in addition to helping prevent injury to your bottom hand. The Voodoo Insane is an end-loaded bat with a long barrel. We measured the barrel to be 1.23 inches longer than the Voodoo Balanced. This added length is different than the CF Series, where the only difference between the balanced and end-loaded models are the weight distribution. In addition to the extra barrel length, it has a slower taper into the handle. This allows you to get some mass behind the ball if you get jammed inside. Even though it’s end-loaded, the bat uses Demarini’s lightweight 3Fusion end cap. This allows them to fine tune the weight distribution in the barrel, which is a big reason this bat feels so comfortable and dangerous in your hands. If end-loaded bats are your thing, you’re going to love the Voodoo Insane. The Voodoo Insane performed incredibly in our testing. In addition to lengthening the barrel, Demarini also added a stiffer handle. The difference in stiffness is very obvious when compared to the Voodoo Balanced, and both of these features have provided the bat with a feel more similar to a one piece alloy. The bigger barrel is a great addition, especially considering this bat was made for strong players who can handle the weight. On contact, the bat blasts through the baseball like it’s not even there. When put in the hands of a strong hitter, the natural stiffness of the alloy barrel paired with the extra mass doesn’t give the ball much of a chance. The sound of contact is a nice ping that seems a little louder and full-bodied than the Voodoo Balanced. Incredibly, Demarini actually managed to significantly improve one of their most popular bats. It seems like they did a great job listening to player feedback with the additions of the larger barrel and stiffer handle. If you like end-loaded bats or have loved the Voodoo series in the past, take a hard look at this year’s model.